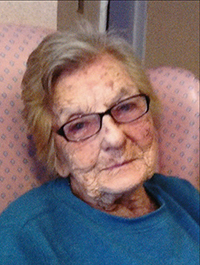 Patricia L. “Pat” York, 94, of Sandusky, Ohio, formerly of Apollo Beach, Fla., where she had lived for 30 years, passed away peacefully Tuesday afternoon, October 17, 2017, in the Parkvue Health Care Center, Sandusky. Born on April 18, 1923, in Banks County, Ga., the daughter of Johnny and Dosha (Broome) Simmons. She had worked for the Sandusky Ford Motor Company for 30 years, retiring in 1985. She enjoyed working on her home, tending to her yard and caring for her flowers, but she especially loved visiting beaches. Pat was a member of the U.A.W. Local # 1216. She is survived by three sons, Bryce (Maryanne) York of Sandusky, Larry “Buddy” York of Sun City, Ariz. and Tom (Paula) York of Sandusky; 12 grandchildren; several great-grandchildren; and a great-great-grandson; two sisters, Betty Haro and Ruth Caufman both of Georgia; and several nieces and nephews. Pat was preceded in death by her parents; three brothers; and two sisters. At her request, no visitation or funeral services will be held. Cremation has taken place. The family suggests that memorial contributions may be made to the Parkvue Health Care Center, c/o the Follett Court, 3800 Boardwalk Blvd., Sandusky, OH 44870. Arrangements are entrusted to the David F. Koch Funeral Home and Cremation Services, 520 Columbus Avenue, Sandusky. Your memories and words of comfort may be shared with Pat’s family at www.davidfkoch.com. Kenneth Gail Haas, born June 1, 1940, passed away Wednesday, October 18, 2017, after a long and courageous battle against cancer. Kenneth is survived by his wife, Toni Huggins, and daughters Lisa McIntyre, Julie Harvill and husband Jason, Kim Wells and husband Tony, Cathy Manseau and husband Tom, and grandchildren Ashley Day, Sara Harvill, Rachel McIntyre, Logan McIntyre, Madison Wells and Hannah Wells. In his life Kenneth was a Church of Christ minister, a missionary in Japan, an 11-year U.S. Army veteran, a psychologist and an Acupuncture Physician. He and his wife Toni owned Acupuncture and Wellness Clinic of Ruskin for 10 and a-half years. It brought him great joy to make a difference in his patients’ lives. Arrangements entrusted to Serenity Meadows Funeral Home, 813-677-9494. 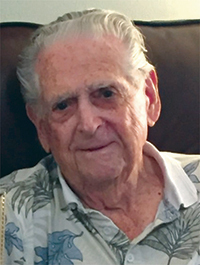 Raymond Joseph Queenin Jr., age 92, of Sun City Center, Fla., and formerly of Piney Point, Md., passed away on Monday, October 16, 2017. Beloved husband of the late Doris Queenin. Ray is loved and deeply missed by his sister, Eileen as well as many nieces, nephews and dear friends. Ray Queenin was born in Connecticut in 1924 to Raymond J. Queenin Sr. and Lillian Brady Queenin. His brother Francis E. Queenin was born in 1926, and sister Margaret L. Queenin was born in Hollywood, Md. in 1927. Their mother, Lillian passed away of a sudden illness, then Ray and Frank attended military school while Margaret studied at a boarding school in Connecticut. After several years, the senior Raymond married M. Veronica Kelly, and the family moved to a new home in Washington, D.C. where his younger sister, M. Eileen Queenin was born in 1942. Ray graduated from Wilson High school, and then joined the U.S. Army during World War II. Ray earned a degree in Business Administration from Benjamin Franklin University in Washington, D.C.and built a successful career in sales on the East Coast. He married Doris Linskey in 1954, and they enjoyed waterskiing, boating and were both avid golfers. They traveled the world together and cherished their many friends throughout the Washington and Piney Point, Md. area. After Doris’ retirement from teaching, they lived at their home in Piney Point, with a winter home in Florida. In 2006, they moved full time to a new home in Sun City Center, Fla., where golf and friends filled their days. Funeral was held at St. Louis Catholic in Clarksville, Md., on Wednesday, October 25, with interment at Gate of Heaven Cemetery. John “Jack” Andrew Heckle, of Sun City Center, Kings Point, passed away on Wednesday, October 18, 2017. Born in Syracuse, New York (1931) to Joseph and Norma (Bonney) Heckle, the family moved to Pulaski, New York in 1941 as residents of the now-New York Historic Selkirk Lighthouse on Lake Ontario. Growing up on the lake shores, he enjoyed many wonderful years swimming, boating, fishing, trapping, hunting, and graduating from Pulaski Academy and Central School in 1949. Jack married Jacqueline (Edick) and her two daughters in 1969, raising his new-found family in Pulaski, New York where he was a member of the Pulaski Congregational Church, UCC. He retired from United Technologies, Carrier Corporation (Syracuse, N.Y.) as a machinist in 1993, moving with his wife to Florida in 1997, enjoying many wonderful sunny pool days and fun-filled activities with great friends and family. Jack is predeceased by his parents, brother Joseph (Lucy), and sister Joyce (Thomas) Dolan. Jack was a loving husband, father, grandfather, neighbor and friend, always a great listener, rather than a big talker. He will be sadly missed by his survivors: loving wife Jackie; two daughters, Julie (James) Radice, Tracy Warnock; two grandsons, Jake and Luke Warnock; sister, Jane (Robert) Brown along with cousins and several nephews and nieces. In accordance with Mr. Heckle’s wishes, there will be no services. A family memorial will take place at a later date. Memorial contributions may be made in his name to the Sun City Center Volunteer Emergency Squad, 101 Ray Watson Drive, SCC, FL 33573. 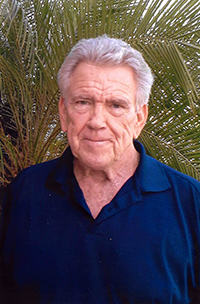 Michael J. Sonneveldt, 72, of Sun City Center, passed away Oct 13, 2017. He graduated with a Master’s Degree in International Studies from the University of Florida, where he was also an adjunct professor prior to his career with Pfizer Pharmaceutical. 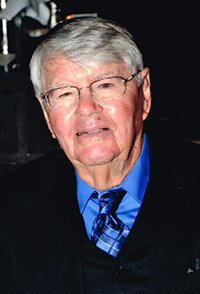 He was an avid golfer and member of the Temple Terrace Golf and Country Club. He was preceded in death by his parents Aris and Maria Sonneveldt, his brother, Peter and sister Marijake. He is survived by his loving wife, Alfreda Sonneveldt. Memorial service will be at 6 p.m., on Friday, Oct. 27, 2017, at Sun City Center Funeral Home, 1851 Rickenbacker Drive, Sun City Center, Fla. 813-634-9900.